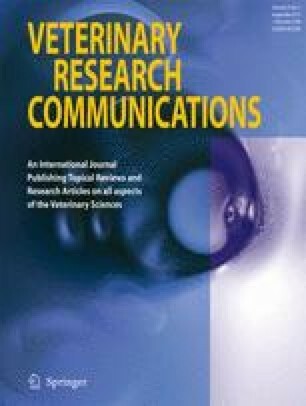 Vaccination of cows with rough Escherichia coli mutants fails to protect against experimental intramammary bacterial challenge. Vaccine A, a heat-killed Re mutant of strain K12, (UB 1574), was administered as a single parenteral and local dose to 5 cows with 3 control animals and Vaccine B, a heat-killed mutant of O111:B4 (J5) was administered as three parenteral doses into 5 cows with 5 control animals. Following intramammary challenge with a smooth wild-type strain (P4), an acute, severe clinical mastitis developed in all 14 quarters (9 vaccine A and 5 vaccine B) of the vaccinated animals which was indistinguishable from that in the 11 quarters of the control animals. Following vaccine B there was an elevation in serum IgG1 and IgG2 antibody to the common core antigen of endotoxin which, in contrast to the control animals, showed a further increase after intramammary infection.